The World Cup in Brazil was very exciting. The atmosphere was amazing with fantastic parties on every corner of the country. 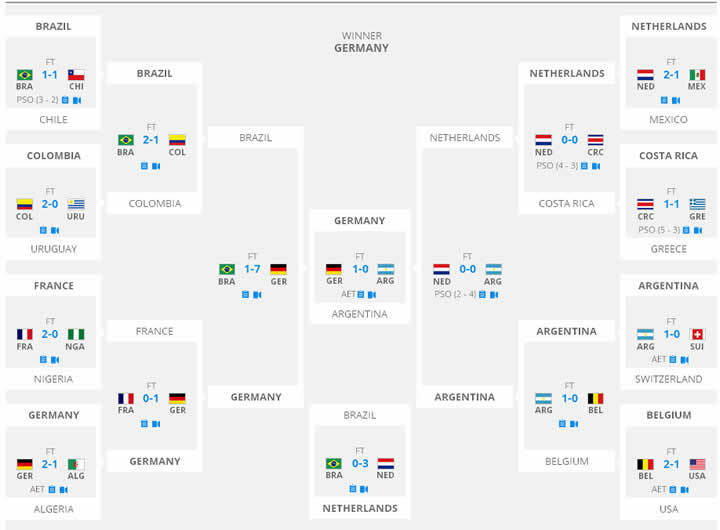 Life goes back to normal now, but this World Cup will stay in our memories. And the fantastic stadiums, underground stations and all improvements made to the world cup cities will remain. Hey – here is my feedback. 5 out of 5 mate! “WOW, words can’t describe this experience! I choose ITS to operate our 18 day, 2014 World Cup trip to Brasil for 65 Australian football fans. Our itinerary took in all the highlights of Brazil with a couple of fascinating off-the-beaten track destinations that very few tourists visit. Nothing was too much to ask … All and all this was the best holiday many of us had ever been on. A life changing experience for the majority of the group. I can highly recommend using ITS for your holiday. You will have the time of your life! Muito Obrigado! Football Roos Australia”. Blumenau (where the Oktoberfest is held), Pomerode and Lagoa_da Conceição were among our favourites. ITS was extremely accommodating, professional and reliable – nothing was too much to ask them. They managed to secure us 4 star hotels, high quality private buses, experienced English speaking tour guides and excellent flight connections – all for a very good price. Their efforts in organising piranha fishing at our luxurious jungle lodge in the Pantanal was something all of us were very thankful for. So much fun! Our entire group of 65 people saw 3 jaguars, many giant river otters, caimans, anacondas, giant anteaters, macaws, toucans, capybaras, storks – as well as catching 70 piranhas and eating them for lunch afterwards! All of our hotels were of a very high standard – all located in the centre of town close to the main sights. Our private (and very comfortable and modern) vehicles all had in-built toilets, fridges, air-conditioning and heating and were driven by helpful and friendly (and safe) drivers. All and all this was the best holiday many of us had ever been on. A life changing experience for the majority of the group. I can highly recommend using Intelligent Travel Solutions for your holiday in Brasil. You will have the time of your life! 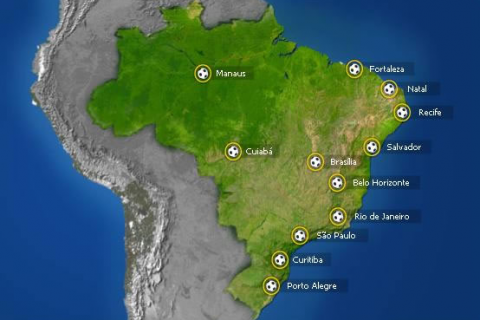 You may still like to visit one of the Brazil 2014 World Cup Host Cities below. Brazil is a huge country, so World Cup travelers had to think about distances and logistics before planning what to do and where to go between matches. Having said that, there is a lot to see in all regions of Brazil. You may still like to come and see for yourself. .Read more about destinations in Brazil. 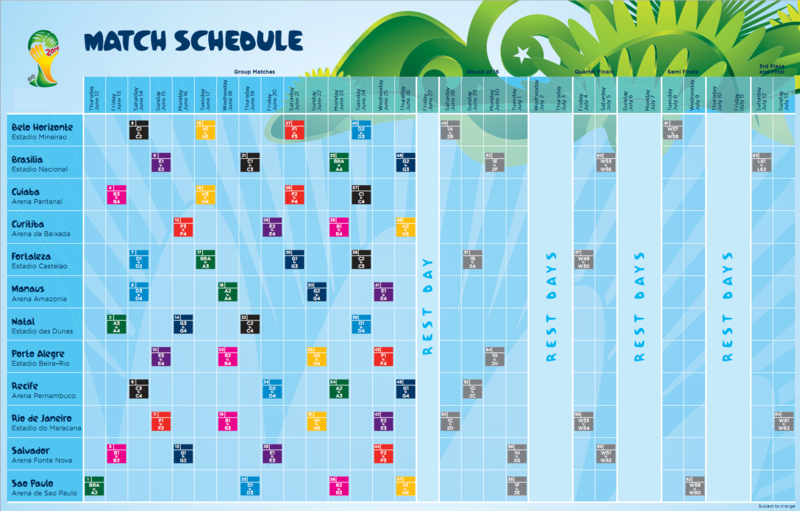 World Cup visitors started by choosing two or three main cities they would like to visit, had a look at the match schedule and worked out how many days there were between matches in the chosen cities. You can use the same logic, choosing your preferred destinations and checking the distances between cities on the table below. Flights from Rio and São Paulo to all other capitals are very common. Not so common between the other capitals themselves. The table below will give you an idea of flight durations between cities. 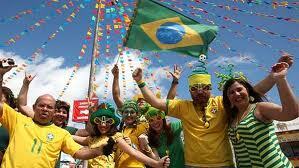 Every four years Brazil lives and breathes the World Cup. During World Cup matches, especially when the Brazilian team is playing, most businesses close or let their employees watch the games while working. Equipped with drums and whistles, Brazilians gather in full gear to watch the matches with friends and family at home, in bars and on huge screens placed on public streets and squares. The party atmosphere during the World Cup is irresistible and is even more infectious when it happens at home. Definitely an exciting and unforgettable experience!